This Godfather Custom has a Chad Nichols stainless Damascus blade. 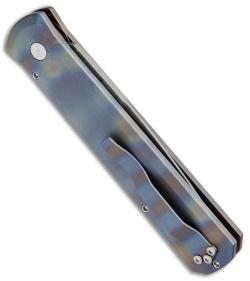 The frame is solid titanium with a one of a kind heat colored custom hand finish. 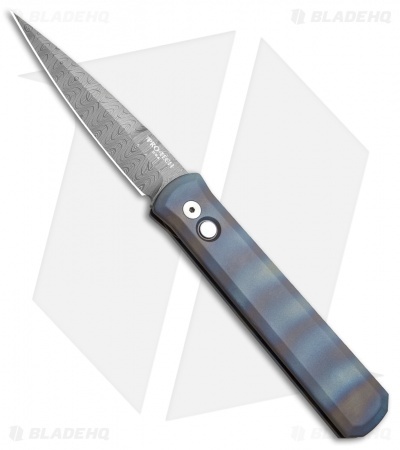 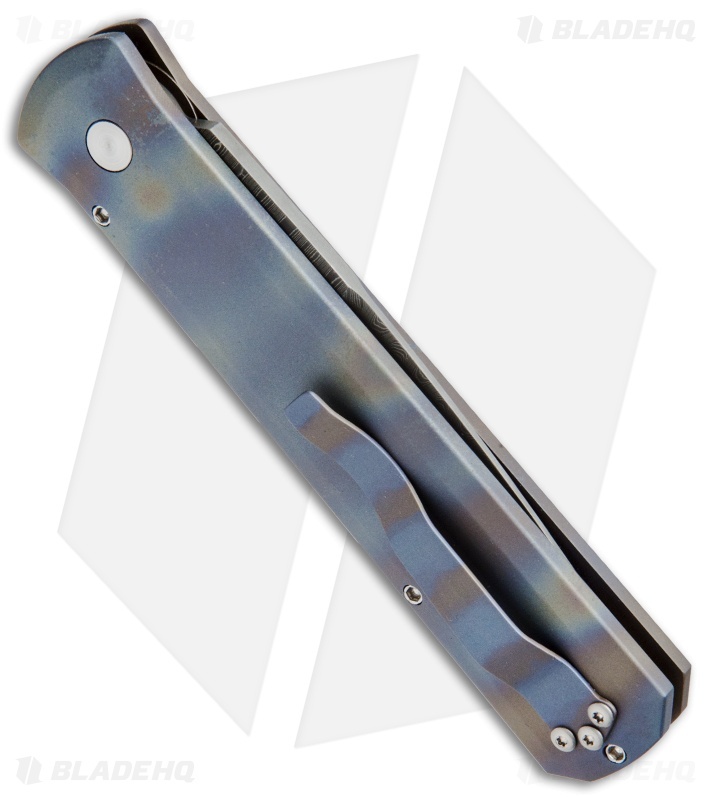 A matching titanium pocketclip and a mother of pearl push button finish off the design.